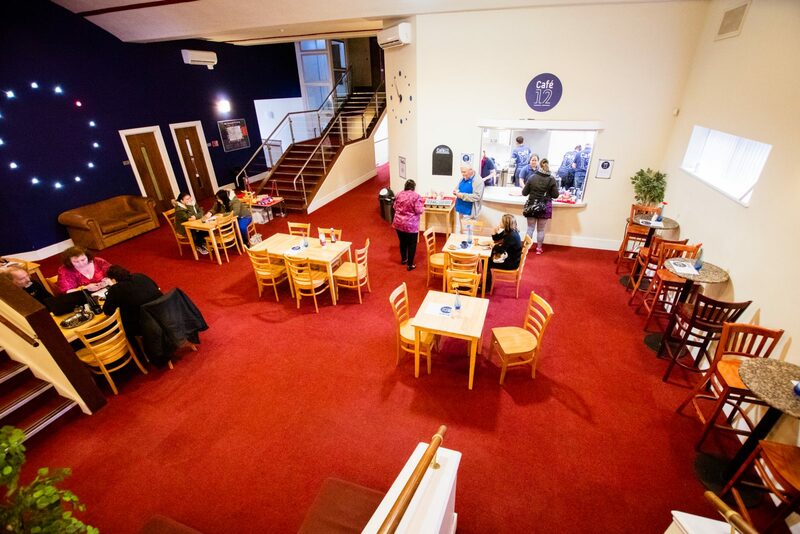 Cafe 12 is open Tuesday–Friday, 10.00am–2.00pm every week at The Pavilion. Cafe 12 is our friendly, volunteer-led cafe in the centre of Reading. With delicious food, good company and a relaxed atmosphere, it’s the perfect place to pop along to meet friends and have a chat. There are often activities going on in the cafe. These include Tigger’s Toddlers, Listening Post, Games Mornings, Amazing Creations, Over 60s Lunches, Pavilion Book Club and Pavilion English School. If you’d like to meet with a friendly face before coming to the Pavilion, please get in touch. We also offer free WiFi access and on Tuesdays between 1.00pm and 2.00pm, there is free supervised computer access including free printing of your first 5 sheets. No appointment needed.